Dell U3011 Now Available to Order! 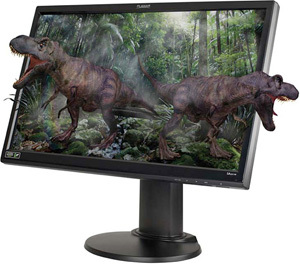 Acer’s new HS244HQ 3D monitor is the first on the market to deliver Full HD 3D imagery via HDMI 3D connectivity for enhanced stereoscopic entertainment and learning. "Blu-ray movies, digital TV, games, learning and even 3D photography: the Acer HS244HQ brings you an entire world of 3D experiences, setting the standard for enhanced 3D multimedia, literally projecting the user into the scene for a sensation of full immersion." The new Acer 3D monitor comes with Acer 3D glasses, featuring advanced active 3D shutter technology, and built-in IR emitter to offer greater convenience. 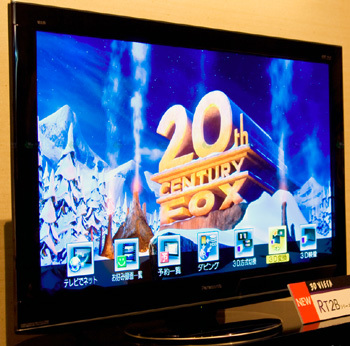 An integrated IR emitter means you can connect the monitor to a set-top box or Blu-ray Disc player via HDMI and enjoy 3D broadcasting or the latest 3D movies. Being 3D compatible, the screen obviously supports a true 120Hz refresh rate but does still utilise a TN Film panel. The screen will offer a pretty sleek design as well with an "integrated vent design", a "teardrop" shaped power LED and touch sensitive OSD buttons. The screen is also LED backlit, offering some power and environmental savings. Have a read of our recent LED backlighting article for more info about this technology. Planar are planning to launch a new 23" 3D screen into their range very soon. The SA2311W will support a 120Hz refresh rate and is designed to be compatible with NVIDIA's 3D vision active shutter glasses. The screen will also offfer a full 1920 x 1080 HD resolution and 2ms G2G response time from its TN Film panel. The screen is expected to be released in December with a retail price of $449 USD. 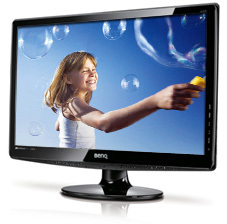 We already brought you news last month of the new EW2420 model from BenQ, which was the first of it's kind, using LED backlighting with an AMVA panel from AU Optronics. It should also be noted that there are also two other similar models using the same panel, just with differing features - The BenQ VW2420 and VW2420H. As a side note for those interesting, these new models are using AU Optronics' latest M240HW02 V1 AMVA panel. Further information available in our panel parts database. This new BL2400PT model again uses this AMVA panel from AUO, offering the same performance specs as the other three models. There are D-sub, DVI, DisplayPort and audio connections available, along with integrated 2x 1W speakers. There is a wider range of ergonomic adjustments than the other models including swivel, tilt, and height adjustments. 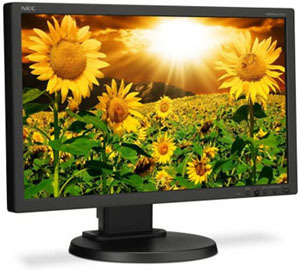 NEC have recently announced the release of two new LED backlit monitors in their popular MultiSync range. These models are 19" and 20" in size and are named the EA192M and E201W respectively. The 19" offers a 1280 x 1024 resolution (been a while since we've seen this resolution!) while the 20" offers a 1600 x 900 resolution. Apart from that, specs are similar, with a 5ms response time, 25,000:1 DCR and 250 cd/m2 brightness. In addition to this, a series of connectivity ports such as DVI-D, VGA and DisplayPort are also included. The NEC MultiSync EA192M is priced at $199 while the NEC MultiSync E201W will retail for $239 and they will be available sometime this month. Following the announcement in September that they would be focusing purely on LED backlit monitors from now on, Viewsonic recently launched their new VG36-LED series of screens. 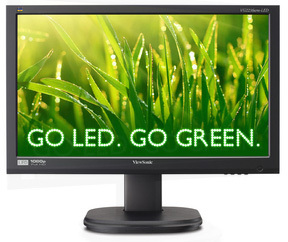 Furthering its commitment to smarter, greener computing, the VG36-LED Series makes its debut with the 24” (23.6” vis.) VG2436wm-LED and 22” (21.5” vis.) VG2236wm-LED. These environmentally friendly LED monitors feature a slim bezel profile and native 1920x1080 resolution. 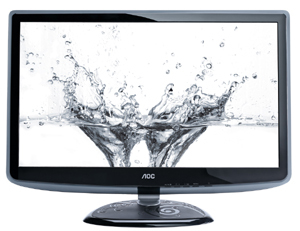 In addition to Full HD resolution and DVI and VGA connectivity options, both mercury-free monitors offer an impressive 20,000,000:1 MEGA contrast ratio and built-in stereo speakers for the ultimate viewing experience. Their press release states: "With the introduction of the VG36-LED Series, ViewSonic continues to deliver on our promise to offer our customers significant energy cost savings and improved performance and brilliant picture quality," said Sally Wang, senior director of product marketing for ViewSonic. "These monitors represent another step towards our commitment to delivering an array of green LED products that best fit the needs of our customers." The 22” VG2236wm-LED and 24” VG2436wm-LED are both now available for respective ESPs of $229 and $259. We brought you details of Samsung's new 1ms rated 27" screen back at the beginning of September. What we didn't know at the time was that this new screen will also feature LED backlighting. Obviously the main marketing point of the P2770FH is it's ultra-fast 1ms (G2G) response time, from it's 27" TN Film panel. We tested the Viewsonic VX2739wm before which also boasts a 1ms response time, and although the screen was fast, it did come with some issues when being pushed to the limit of its responsiveness. It will be interesting to see how this new Samsung model performs! The LED backlighting brings with it a typical high dynamic contrast ratio figure of 70,000:1. 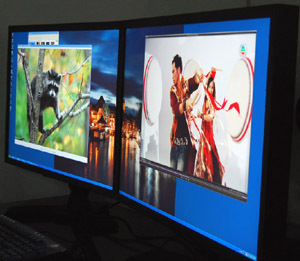 The screen is also provided with 2x HDMI interfaces. No word on release date or price yet. NEC have recently announced details of a new 23" screen in their range of monitors, again using IPS panel technology, but this time also with W-LED backlighting. This screen will follow in the footsteps of the very popular NEC EA231WMi, and will be called the EA232WMi. We have seen a big increase in the number of LED backlit displays over the last 6 months particularly, but nearly all have been based around TN Film panels. We recently talked about the release of the first VA matrix to be combined with W-LED backlighting in the new BenQ EW2420. Now NEC are bringing us the first mainstream IPS panel with LED. The screen will also offer an ambient light sensor and is designed for low power consumption. No official word on price or release date yet, although January has been mentioned. We hope to feature a review of this new screen as soon as it's available. 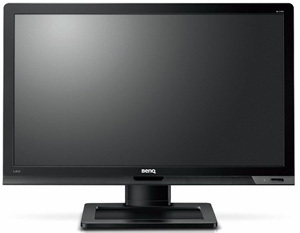 Although nothing particularly special, we thought we'd give brief mention to a new 24" model being released by BenQ. 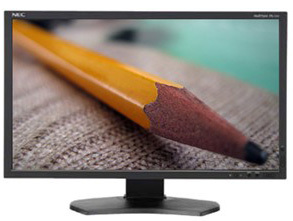 The GL2430HM offers a full 1920 x 1080 resolution, 5ms response time, and a reported 12 million:1 dynamic contrast ratio! The screen uses a TN Film panel and W-LED backlighting, offering reduced power consumption. The screen comes with integrated speakers and DVI / HDMI inputs. We brought you news of the release of two new 27" models from Hazro back in August, and now the models are listed officially on Hazro's UK website. Both models are 27" in size and will use H-IPS panel technology from LG.Display. 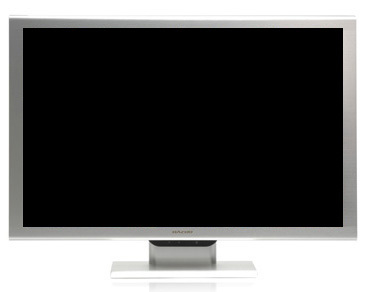 We've already recently reviewed the 30" HZ30Wi as well. There is a regular 8-bit IPS panel which features a glossy coating and LED backlighting. In fact this is the only glossy 27", LED, IPS apart from Apple's 27" Cinema Display. This will be the HZ27Wa model. The second screen is the HZ27Wb, which uses CCFL backlighting and features a normal matte AR coating instead of a glossy solution. It does however offer a 10-bit colour depth (1.07b colours) and is very comparable to the Dell U2711. 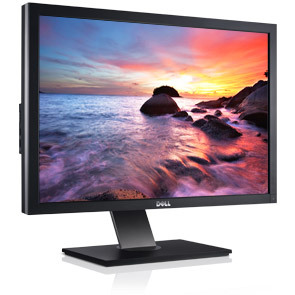 Dell has recently announced the release of eight new models in their popular monitor range. The launch of eight new LED displays signifies Dell’s complete launch into LED with redesigned consumer Studio, commercial entry and professional series panels. 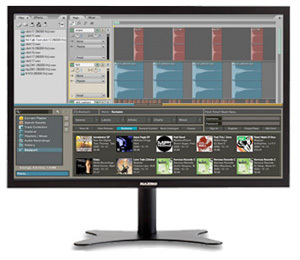 There are models available in 22" (ST2220), 23" (ST2320) and 24" (ST2420) in their 'Studio' line up for consumers. These screens will include a full 1920 x 1080 HD resolution, dynamic contrast ratios estimated to be between 7 and 8 million:1, and a sleek attractive design. The new ST models are stylishly designed with the bottom front bezel beautifully lit when switched on, intuitive touch controls on the bottom right panel and a slim panel silhouette. All three models will come with VGA and DVI (HDCP) connections. There will also be versions which feature HDMI as an additional interface (ST2220L/ST2320L/ST2321L model numbers). These models all feature WLED backlighting and TN Film panels. Dell is also announcing the addition of two new 20-inch HD monitors, the IN2020 and IN2020M. These models will offer a smaller 1600 x 900 resolution along with 5ms response time and 8 million:1 dynamic contrast ratio. 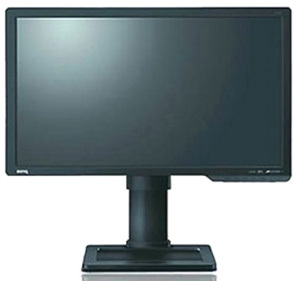 The IN2020 monitor comes with a VGA connector for easy connection to mainstream computers while the IN2020M has a DVI port. Again these models use WLED backlighting and TN Film panels. Most of the screens are now available to buy. See Dell.com for latest pricing. Dell have also tesed us by stating that "later this fall, Dell will also introduce a new touch monitor to the market—the first 21.5” multi-touch display with IPS technology which allows for wider viewing angles and better color reproduction." More on that when we get it! NEC's press release states: "With the introduction of the EX series, a high performance, future-ready and ecological range of desktop displays, NEC Display Solutions is extending its portfolio in the corporate market. The new MultiSync EX series combines an innovative, ultra-slim design with high-quality features. The displays impress with their exceptionally low environmental impact thanks to LED backlight technology and other new features such as a human sensor." 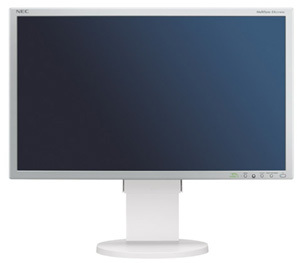 The 23-inch NEC MultiSync EX231W is available within October in either pure black or office white at a price of £255 (excluding VAT). Back in July this year we gave you news about some new LED backlit displays being released by BenQ, interestingly all using VA panel technology. Until now, nearly all mainstream models using LED backlighting have been TN Fillm based, but it is pleasing to see the technology now emerging in other sectors as well. Further details of the new 24" model are now available as well, and it has just been released in Europe. The new EW2420 is available for 186.43 Euro (~$260). The screen is 24" in size and offers a full 1080 HD resolution. The VA panel offers an 8ms G2G response time, and thanks to the LED backlighting the screen is reported to offer a static contrast ratio of 3000:1, and a dynamic contrast ratio of 20 million:1. Very impressive figures on paper, it will be interesting to see whether this can be achieved in practice. There's also a decent range of interface options with DVI, D-sub and 2x HDMI available (with HDCP). Although not really a remarkable release, we thought we'd give quick mention to a new 23" screen released by HP featuring WLED backlighting. The new 2310e offers a full 1920 x 1080 resolution and a massive 8 million:1 dynamic contrast ratio thanks to its WLED backlighting. The screen also comes with HDMI, DisplayPort and DVI interfaces and is an ultra-thin design being only 1 inch thick. The 2310e is available now. Back in August we brought you the first news about new 27" and 30" models from Hazro, offering some new IPS choices for those wanting larger screens. They have just updated their website at www.hazro.co.uk to feature full details about the 30" models, set to be available very soon we are told. Their website states: "The Hazro HZ30Wi is ideal for graphics and visual media, where professional grade technology meets revolutionary design." As we aluded to last time, there are actually two models being released. 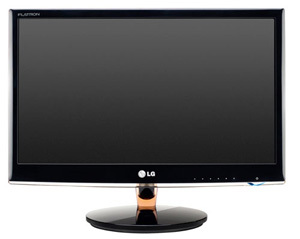 One is referred to as the HZ30Wi, which features a 92% NTSC colour gamut and uses LG.Display's LM300WQ3 IPS panel. The second will have a much smaller stock availability and will be referred to as the HZ30Wi-Q and offers a slightly extended gamut of 102% NTSC, using LG.Display's LM300WQ5 IPS panel instead. Both models offer a massive 2560 x 1600 WQXGA resolution and there is a built-in 4 port USB hub and the metal stand offers 3-axis adjustment. The screens are manufactured in the UK and are expected to retail for ~£800 (HZ30Wi) and ~£900 (HZ30Wi-Q). We hope to feature a full review of the HZ30Wi very soon. Back in February we released a few details about the 23" model which would form part of NEC's PA series of screens, being available alongside the 24" PA241W, 27" PA271W and 30" PA301W. We've already carried out full reviews of both the 24" and 27" models, and the 23" version has just been officially announced. NEC's press release positions the new screen in the 23" sector: "With a focus on improving user productivity and having an attractive price/performance ratio, this monitor is designed to meet the demands of the CAD/CAM and DTP sector, precision engineering and for detailed image reproduction in the field of medical radiology." The screen will also feature a 3D programmable hardware LUT (we expect the same differences in Europe and USA and with the SpectraView version as we described in our PA271W review). There will also be ColorComp compensation for backlight uniformity. Unlike the 24" and 27" models which use so-called p-IPS (premium IPS) panel technology with 10-bit colour depth, this model is using an 8-bit e-IPS panel. 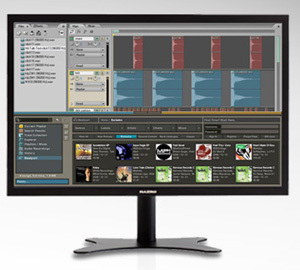 Eizo have recently anounced the FlexScan T2351W, its first multitouch monitor. "The FlexScan T2351W combines superb image quality, durability, and a design that is optimized for multitouch, making it ideal for schools, libraries, offices, and homes. 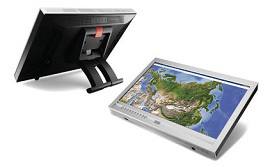 The FlexScan T2351W supports multitouch capabilities of Windows 7. Multitouch provides an intuitive way to use applications without a mouse or keyboard." The T2351W will feature a VA panel with a full 1920 x 1080 resolution. The monitor debuts a new cabinet design featuring a “LaidBack” stand. With this stand, the bottom of the bezel rests on the desktop like a notebook PC and tilts back in six stages from 15° to 65°. This allows the user to look almost directly down at the screen and comfortably touch it without having to extend his/her arm. The touch panel technology used is optical imaging technology which accepts input from a bare or gloved hand as well as a touch pen. The non-scratch touch surface is made of reinforced glass with a hardness of 6 Mohs, the same hardness as titanium, to ensure it has the durability to withstand use in schools and public access areas. The screen offers six preset modes as well. Game mode activates two EIZO features called “Power Resolution” and “Power Gamma.” Power Resolution makes the details in both low and high resolution games look clearer and sharper. Power Gamma applies a special gamma curve to games and other animated images that amplifies the feeling of contrast to make them look more three dimensional. With the bundled ScreenManager Pro for LCD utility software, any preset mode can be assigned to an application so that when the application is opened, the screen automatically changes to its assigned mode. For photo editing, gaming, and other tasks where color display is critical, the FlexScan T2351W includes 10-bit gamma correction. This function uses a 10-bit look-up table with a palette of more than one billion colors to select the most appropriate 16.7 million colors for smooth display of color gradations without banding. There is also a 0.35W internal speaker and headphone jack and an auto brightness control. The FlexScan T2351W is now shipping. Date of availability varies by country so please contact the EIZO subsidiary or distributor in your country for details. 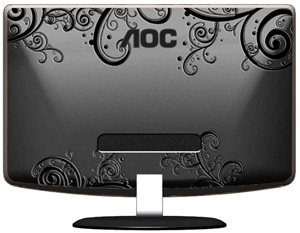 AOC have recently introduced a couple of unusual monitors in their range, marketed as 'ornamental' in their design. "Their extraordinary design with attractive ornaments inspired by nature on the back, and a rounded foot makes them real eye-catchers" says their press release. The models come in 21.5" (e2240Vwa) or 24" (e2440Va) sizes and offer a full 1920 x 1080 resolution. They both use WLED backlighting and offer a massive 20 million:1 dynamic contrast ratio. Both models completely forgo mercury and fulfil current energy efficiency standards such as ENERGY STAR 5.0 or EPEAT, thanks to their economical LED backlight technology. By using the e-Saver software, which allows a multitude of intelligent energy-saving options, and the e-Sensor, which automatically regulates the screen brightness down whilst the user is away, the electricity consumption can be reduced even further. 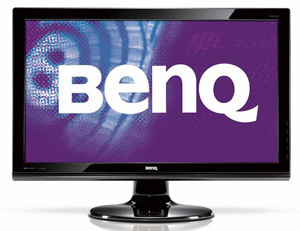 BenQ have recently announced the release of a new 23.6” monitor in their range, designed with assistance from the gamer teams at ZOWIE, a professional gaming gear manufacturer. The new screen is of course aimed primarily at gaming enthusiasts, with features designed to offer the optimum performance possible (in theory) from a modern LCD screen. The XL2410T will offer a 2ms G2G response time from its TN Film panel, along with a 1920 x 1080 resolution. This is also combined with 3D 120Hz support for improved frame rates and motion smoothness. There are also a wide range of aspect ratio control settings to cope with different consoles and gaming resolutions. 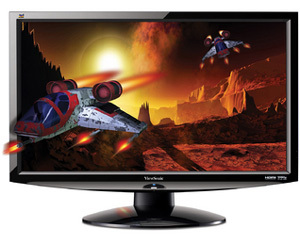 The monitor offers a set of Gaming Display Modes which includes the FPS mode (First Person Shooting), co-developed by two “legendary” Counter-Strike players – Emil “HeatoN” Christensen and Abdisamad “SpawN” Mohamed. 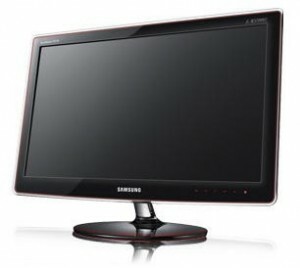 The XL2410T comes with an LED backlighting unit and offers a reported 10 million:1 dynamic contrast ratio as a result. It has an HDMI, DVI and D-sub interface, and a height adjustment from the stand. However at this year’s IFA 2010 event, LG have showcased 4 new models in their range which offer IPS panel technology with LED backlighting. The LED backlight helps LG reduce the depth to just 19.5 mm and the energy consumption has been decreased by 27 %. LG has not mentioned if we are looking at Edge-lit LED models or ‘true’ backlit LED but the very slim design could suggest that these are Edge LEDs. Obviously both versions light the screen, it’s just down to how the technology is implemented in the design. The new models come in sizes of 20” (IPS2062T), 21.5” (IPS226V) and 23” (IPS236V). These are the three consumer models, with a fourth professional grade monitor being released in 23” (IPS231P). Except for the 20” model, they all offer a 1920 x 1080 resolution, 6ms G2G response time, 5 million:1 DCR, 250 cd/m2 brightness and 178/178 viewing angles. The design is kept in glossy black only the professional model IPS231P has height, tilt, swivel and pivot adjustments from the stand and integrated speakers. 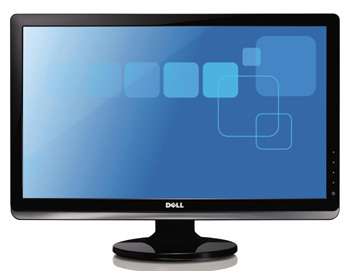 IPS226V and IPS236V both feature HDMI and all of the monitors have D-SUB (VGA) and DVI. Interestingly LG.Display do not feature any matching IPS LED backlit panels on their website yet, so the panel modules themselves must be new as well. No release dates or prices are available yet. 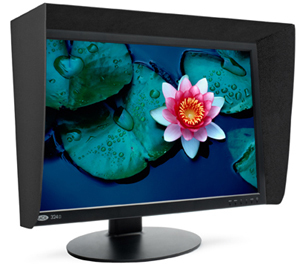 LaCie have recently released details of their new 324i monitor in their professional series of LCD monitors. 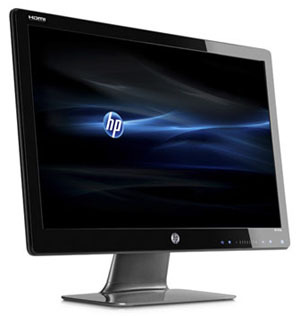 The 324i offers a 24” screen size and features a p-IPS panel. An ideal monitor for prepress, illustration, web design, and photographic workflows, the LaCie 324i delivers uniform and accurate colours thanks to its wide gamuts and backlight stabilization. The screen appears to just be a re-branded version of NEC’s PA241W model, available with LaCie’s hood and colorimeter in a package. The p-IPS panel offers a 10-bit colour depth, 1.07 billion colour palette and 102% NTSC gamut and the screen is obviously targeted at professional users and colour enthusiasts. The LaCie 324i has four display and video inputs, making it compatible with most computers and video devices. Use DisplayPort or DVI–D for connecting the monitor to a computer and HDMI or component for video sources. The 324i also has three USB 2.0 ports for a convenient USB hub to your computer. 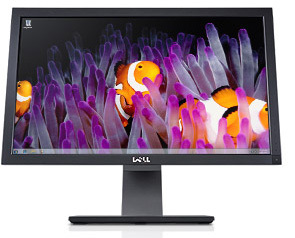 The LaCie 324i P–IPS LCD Monitor is available from October, starting at the suggested retail price of $ 1249,00 USD. We gave you the news of the U3011 30” screen from Dell at the beginning of August along with the official specs. I’m pleased to report the screen is now available to order from Dell.com in the US at a retail price of $1499 USD. It’s not listed officially on the UK website yet however. The specs are as we originally posted. Some forum posters have reported their screens have started to ship now in the US. We will feature a full review of the U3011 as soon as it makes its way to the UK. Watch this space! Samsung's website says: "Combining great value, high performance and stylish good looks, the Samsung FX2490HD 24" LED monitor is the ultimate multimedia display. With a built-in HDTV tuner, picture-in-picture for true multi-tasking, and the ability to watch movies, view photos and listen to music off a USB drive, your work life and entertainment life will never be happier." 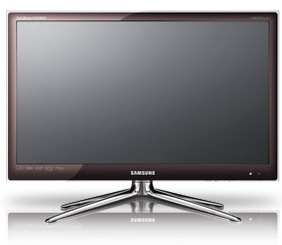 A good description of the new FX2490HD monitor from Samsung. This new model is a combination of desktop TFT and LCD TV, boasting a built-in digital TV tuner so you can watch your favorite television programs without a computer. Simply connect a cable, satellite or antenna signal. Use it as a standalone TV in your kitchen or bedroom. 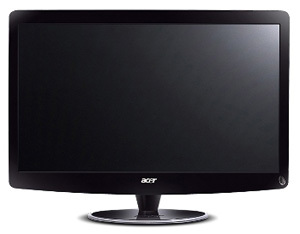 Also, with an LED backlight, the FX2490HD monitor consumes up to 40% less energy than conventional CCFL backlights. ViewSonic Europe has announced a strategic move to LED technology for its entire display range with the launch of three new monitors for the UK market. Offering improved picture quality and energy saving credentials, LED technology will feature in all of ViewSonic's monitors moving forward, phasing out the older technology CCFL displays. ViewSonic's new strategy, marks a gradual fade-out of older CCFL technology which is far less ecologically responsible in favour of environmentally-friendly LED technology across the entire range. The new ViewSonic monitor range includes the flagship VV2450wm-LED with full HD 1080p performance and a 20,000,000:1 dynamic contrast ratio for great picture detail and definition. We first heard news of this screen back in January. The VX2450wm also boasts impressive environmental credentials with a verified mercury-free RoHS production process, the latest Epeat Silver certification, full Energy Star 5.0 compliance and WEEE recycling specifications that cover the entire product lifecycle. An eco-mode option is also available to reduce operating power consumption by a staggering 50 per cent. The new range also features the VA1931w-LED and the VA2231w-LED, two affordable models designed primarily for school and business use. 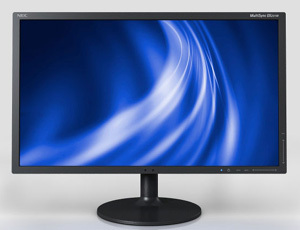 ViewSonic's first 3D 24” monitor (V3D241WM-LED - shown above) will join the range and will be compatible with the iZ3D and ATI 3D standards, whilst including a set of 3D active shutter glasses to ensure users are 3D ready from the start. The Vx2450wm, VA1931w-LED and VA2231w-LED are available immediately from all approved resellers from £123 plus VAT. 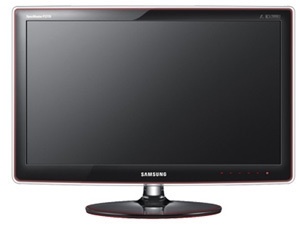 Samsung are set to launch a new 27" monitor in their monitor range. The new P2770FH will offer a 1ms response time, which until now has only been seen on the Viewsonic VX2739wm which we had chance to test in July. It will be very interesting to see how this new Samsung model performs in this regard since we saw some obvious issues with the maximum response time setting of the Viewsonic offering. As well as the headline response time figure, the screen offers a 1920 x 1080 resolution, 1000:1 contrast ratio, 300 cd/m2 brightness and offers D-sub, DVI and HDMI interfaces. The screen is TN Film based as you might expect. The design is a glossy black finish with slight red trim. More details as we get them. Further to our news piece last week we are pleased to bring you some exclusive information about some new 27” and 30” models from Hazro which are scheduled to be released later this year. We will bring you further information regarding release dates and pricing as they become available but we have some details about their specs and features already. The 27" HZ27Wa model offers an ultra high 2560 x 1440 resolution like the Dell U2711 and Apple 27" cinema displays. As with the Apple model, this is an LED backlit screen, with 8-bit colour depth and a standard sRGB colour space. There will also be a CCFL based model as well which like the Dell U2711 with have an extended colour gamut. These 27" models will be 'no frills' in terms of features, with a single DisplayPort (although DP > Dual-link DVI cable will be provided) and without any OSD. Adjustments would need to be made via the graphics card or perhaps a software based menu. The price point will be tempting as a result though we are told and the screen is expected in September. The 30" HZ30W will offer a slight bigger screen and a 16:10 aspect ratio with 2560 x 1600 resolution. There are going to be two versions available it seems, one with 92% gamut, and using LG.Display's LM300WQ3 panel. The other has a slightly extended gamut at 102% and will use the LM300WQ5 panel, as used in the Dell 3008WFP. The screen will feature a 4-port USB hub along with a fully adjustable stand and aluminium casing. Further information when we get it along with full reviews when the screens are available. 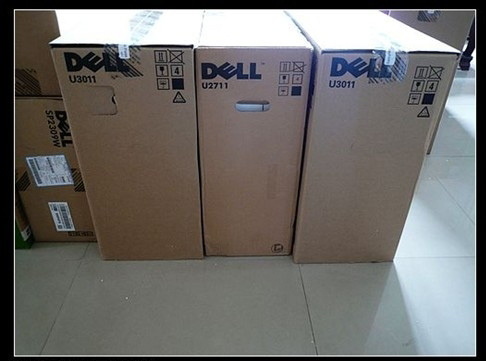 Some early pictures of a boxed “U3011” model from Dell have emerged on the internet this week but so far there’s been very little information about this new 30” Dell screen. All we really had was that it would be a 30 inch IPS based panel, with a 2560 x 1600 resolution. A factory calibration report confirms the screen will be calibrated out of the box as Dell did with their 24” U2410 and 27” U2711. However, we have received some exclusive information about the new screen along with a full spec. 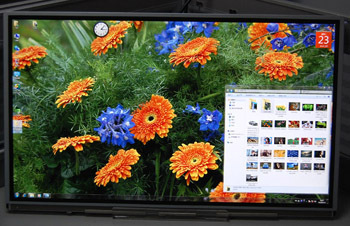 The screen is a 16:10 format display which will use a 10-bit H-IPS panel from LG.Display. This will be the LM300WQ5 panel which is listed on LG.Display’s website at the moment. A version of this panel is already being used in the 3008WFP although with an 8-bit colour depth. Looks like they have perhaps done the same as they did with the 24” panel used in the Dell U2410 and HP LP2475W. This came in an 8-bit (used in the HP) and a 10-bit (used in the Dell) version, with the same part number, just a different revision. Given the newer spec here from the U3011 and 10-bit colour depth (8-bit +AFRC), I expect the same is true here. An updated panel revision for use in the new model. This model is designed to replace the 3008WFP and so has some improvements in the spec as you might expect. This includes a 100,000:1 dynamic contrast ratio, 7ms G2G response time and 12-bit internal processing. There's a whole load of interfaces available including 2x DVI, 2x HDMI and DisplayPort. The screen is pencilled in for a release date at the end of October at the moment, but could possibly move a little sooner. We will of course be featuring a full review of the U3011 as soon as it becomes available! Panasonic have recently unveiled details of their first "all-in-one" full HD, 3D TV lineup which includes models of 42" and 26" in size. The new TH-P46RT2B (42") and TH-P46RT2B (46") offer a full 1920 x 1080 resolution as you would expect, along with a dynamic contrast ratio of 5 million:1. These models are plasma based. Interestingly these new models offer an integrated 500Gb hard drive which will allow you to record TV live from the 2D or 3D content. You can also record onto the integrated Blu-ray player if you like. The new models offer a digital TV tuner, several HDMI interfaces and a D4 and D-sub connection. The sets are packaged with the shutter glasses for 3D content. On the TV, owners will be able to make free voice and video calls to both nationwide and international contacts with the built-in Skype application in the TV set. oth models should be released on august 27th in Japan at 440 000 (~$5,060 USD) yens and 390 000 ($4,487) yens.